Are you looking for a paradise ? 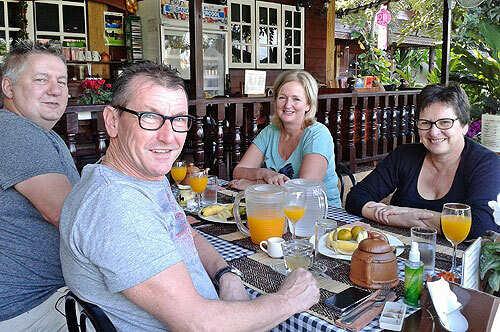 Then you are on the right place by Homestay Chiangrai. 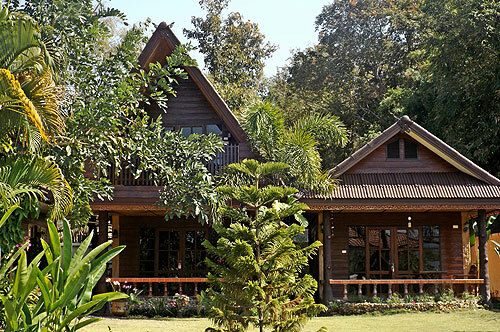 This boutique resort is located just a few minutes out of Chiang Rai city in the nature, with views across the rice fields to a Temple and the rolling hills of northern Thailand. We just have seven private rooms / bungalows with en suite bathroom. 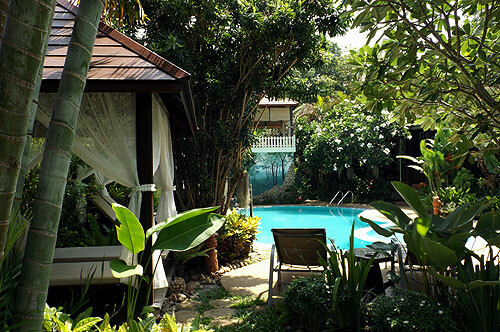 Six of the rooms overlooking our lush garden with swimming pool. The boutique resort has a Thai and international restaurant, where we offer you a 5* breakfast/lunch or dinner a la carte from our chef. Accompanied by quality wines, or Thai and Dutch beers. This boutique resort is the perfect base for anyone who enjoys the peace and tranquility of the northern country side. The surrounding area offers a wide range of activities from tea plantations to waterfalls and the unspoiled nature. Directly from the resort you can make a boat trip on the Mae Kok river to the elephant village Ruam Mit and hot springs. After your physical exertions you can relax and cool down in our lush garden with swimming pool. Or find a relaxed place in one of the hammocks under the palm trees and enjoy the quietness of this area. There is a rooftop-terrace with amazing view to the mountains, great place to relax or have a massage. Now every room/bungalow has a flatscreen tv 32 inch, with English, France, German and Dutch channels. Amazing Views & Free Wifi. Every day 11.00 am 15.30 pm and 18.30 pm shuttle to Chiang Rai centre, 30 bath p p by 4/6 person 100 bath. We offer you a wide choice of accommodation so your stay is as relaxing and comfortable as possible. This boutique resort is the perfect place for anyone how enjoys the peace and tranquility of this paradise. To give you a good idea of our paradise in northern Thailand. Have a look to this gallery.